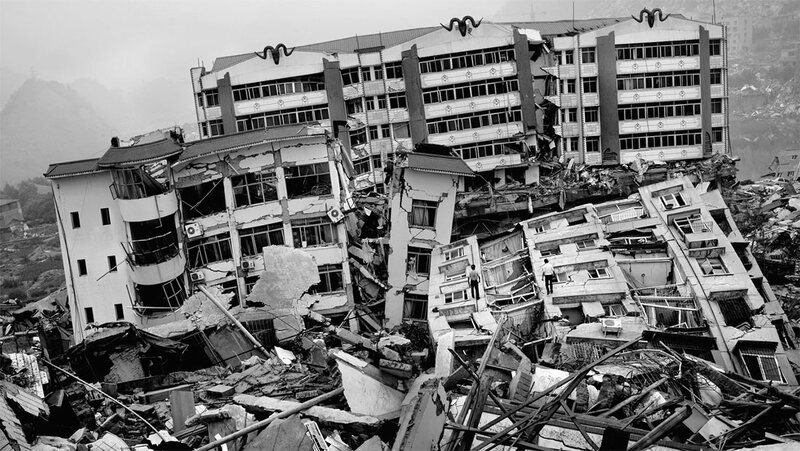 Claiming sixty-nine thousand victims, the earthquake that hit Sichuan province on 12 May 2008 not only took an enormous toll in human lives, but also had a major political impact in China. 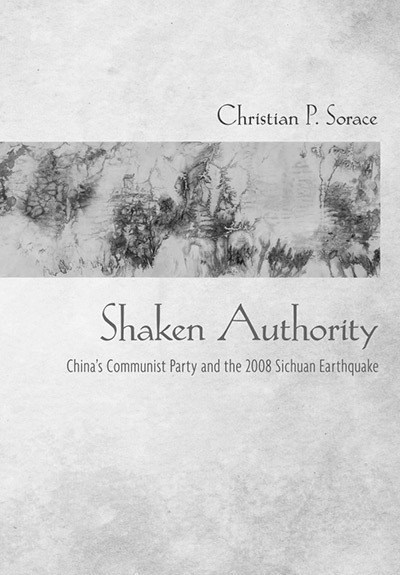 In his new book, Shaken Authority: China’s Communist Party and the 2008 Sichuan Earthquake (Cornell University Press, 2017), Christian Sorace examines the political mechanisms at work in the aftermath of the tragedy. For this Academic Watch, we spoke with the author. One of the most striking features of the aftermath of the Sichuan earthquake was the extraordinary showing of solidarity from Chinese and international civil society. In light of this, several scholars have hailed this event as a watershed for the relationship between state and society in China. Do you agree with this view? CHRISTIAN SORACE: In the immediate post-quake aftermath, the unprecedented outpouring of compassion and volunteerism, the sudden rise of NGOs, and the open media coverage appeared to mark the long anticipated emergence of civil society in China. In hindsight, the momentary loosening of control appears to have been a mirage rather than a permanent reconfiguration of the relationship between the Chinese Communist Party (CCP) and the people. The rebuilding of Sichuan was a showcase of Party legitimacy and not a platform for expanded civic participation. My book is about this top-down process and its effects on people’s everyday lives. I argue that the ‘emergence of civil society’ hypothesis was wrong on empirical grounds—a fact confirmed by the rise of Xi Jinping and the intensification of traditional Party methods of control. Conceptually speaking, I am also uncomfortable with this kind of research question. A researcher who sets out ‘in search of civil society’ may miss out on other dynamics and relationships of power that are visible without being recognisable. It is like the childhood book Where’s Waldo? The obsession with finding Waldo overshadows the intricate worlds happening around him. Especially in my field of political science, the so-called objective questions and debates are so deeply normative—it is somewhat astonishing. Why is China’s authoritarian regime ‘resilient’? When will it ‘collapse?’ Why hasn’t it ‘collapsed’? Why hasn’t ‘civil society’ emerged? As if ‘civil society’ was/is simply waiting for its moment to emerge. With reference to the title of your book, did the earthquake actually shake the authority of the Party in the areas hit by the disaster? One of the most original aspects of your book is the attention that you pay to CCP ideas and discourse, which are usually discarded as mere propaganda. Why do you think it is important to listen to what the Party says in China today? CS: The CCP has an extensive political vocabulary and set of concepts through which it understands the world. I take seriously Communist Party concepts like ‘formalism’ (xingshizhuyi), and conceptually grounded practices such as ‘investigation’ (diaoyan) and the ‘mass-line’ (qunzhong luxian), as conduits for understanding China’s political and social dynamics. We should not forget that China’s political system is based on a dialectical model that attempts to integrate theory (lilun) and practice (shijian), spiritual (jingshen) and material (wuzhi) development, and that the CCP considers itself a ‘learning party’ (xuexi dang) which is continually evolving and adapting to changing global and domestic contradictions (maodun). The CCP’s epistemological foundations shape how China’s political leaders act on the global stage, respond to domestic crises such as the 2008 Sichuan earthquake, and govern on a day-to-day basis. If the CCP itself takes seriously language as a field of power and control, on what grounds can we dismiss it as empty propaganda? Among all the people you interviewed for your book, can you recall any encounter that left a mark on you? CS: As a rule I never asked people about their personal traumas, but some people would inevitably want to discuss them. I had one conversation with a father who described to me in such vivid detail how he lost his wife and daughter during the earthquake. I couldn’t maintain the pretence of professionalism and continue the interview. We cried together, hugged, smoked cigarettes, and sat there in silence. That was probably the moment that I felt most painfully the ethical dilemmas of representation—of being a foreign academic, mining the ruins of other people’s lives for stories that will go in a book that will be the foundation of my academic career. One unforgettable image is the photograph of then Mianzhu county Party Secretary Jiang Guohua kneeling in front of a crowd angry parents who were marching to Sichuan’s capital Chengdu to protest the death of their children. This image of a Party official on his knees pleading with the people reveals a different dimension of power and state-society relations at work in China. It does not map onto the facile dichotomies of authoritarianism and democracy (or resilience/collapse paradigms) but indexes a complicated and fraught relationship between state morality and popular sovereignty at the basis of Communist Party rule.